Sure, after Huntsville the towns become sporadic, a bit less refined, and really small – but those areas are still within relatively short driving distance to either Barrie and/or North Bay. But it is after North Bay where Ontario changes. Towns of 10 000 become cities. Villages of 2000 become towns. Hamlets that wouldn’t warrant a sign in southern Ontario make it into maps, travel guides and guidebooks about the north. Temagami is the perfect example. Not only do you not realize just how far away it is from North Bay (more than an hour), but it’s also really small. The dots-on-the-map before Temagami aren’t really true towns at all, they’re much closer to being dots-on-the-map. And when you get into Latchford, you realize that it is much the same as Temagami. If you don’t have some decent cassettes for the car by now, you’re in trouble from here on in. You’ll start seeing more transport trucks than cars. Of the few cars on the road, they’ll practically all be domestic, and will likely have an ATV in tow. The distances are only going to get larger and the roads will only get lonelier. 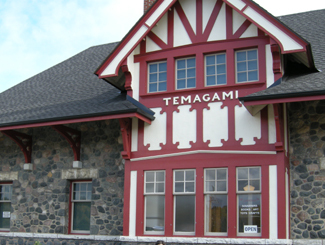 Temagami is a town of about 1000 an hour-plus from North Bay. The town was first settled in 1850 when the Hudson Bay Company set up a trading post on Lake Temagami. 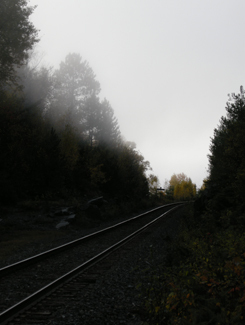 The ONTC railways came through in 1904 as silver was found in Cobalt to the north, and Temagami became a town of trappers, traders, and prospectors. 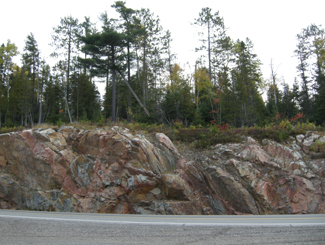 From Highway 11, Temagami is a land of contrasts. Some spots can be boring as heck. Rocks and trees, rocks and trees. Others, however, can be surprisingly beautiful. On a recent trip to the area we didn’t take many photos of Temagami, mainly because the scenery was so majestic, it was nearly impossible to discern what was photo-worthy and what wasn’t, without taking photos practically every ten minutes. We actually experienced scenic fatigue, and by the end of our trip we were turning our noses up at lakes, forest scenes, and vistas we would have stopped for has we been in southern Ontario. And we didn’t even go into the interior, or explore Lake Temagami, which is reportedly more scenic than the area directly off Highway 11. One of the many reasons for Temagami’s beauty is that it is one of the last parts of accessible Ontario with old growth forest, and was the subject of intense protests against logging in the 1980s. Temagami is Ojibway for ‘deep water by the shore.’ It is also where Englishman Archie Belaney found fame as Grey Owl, an Aboriginal devoted to environmentalism. 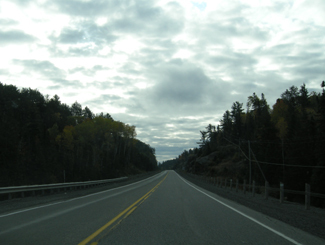 Today Temagami is largely dependent on forestry and tourism. There are two provincial parks nearby, Finlayson and Lady Evelyn-Smoothwater. Temagami is a starting point for a number of all season activities, including boating, dogsledding, canoeing, cross country skiing, swimming, fishing, camping, houseboating, hunting, and guided tours. There are also a nature interpretive centre, some craft shops, and an art gallery. The Co-op grocery store isn’t open on Wednesdays. Many offices or stores are only open half-days. The scenic rail route from North Bay, called the Dream Catcher Express, runs a meagre six days a year. One of the town’s two restaurants closes at 6 PM on some days. The Temagami tourism welcome centre, the Caribou Mountain fire tower info centre and shop, and the train station interpretive centre and gift-shop all close after the first weekend in October. Most surprisingly for Northern Ontario, the LCBO closes at 5 PM (go to Latchford for an agency store that stays open ’til 8 or 9.) If you’re visiting Temagami after September, you better have electricity in your cabin or be prepared to go to sleep early, because nothing will be open and it’ll be dark – during our recent trip we experienced pitch black night during the second week of October at the late hour of 7.25 PM. 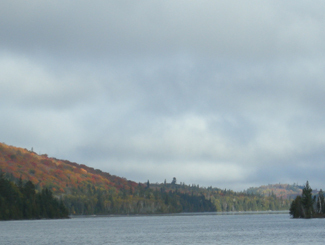 So if you’re heading to Temagami, especially in the fall, be prepared to live according to Temagami Time. While I’m half joking, this is actually something to think about – I only became acclimatized to being on a late fall ‘vacation’ in Temagami – going to bed early, timing trips to stores and eating supper early – by the time my mini vacation was over! 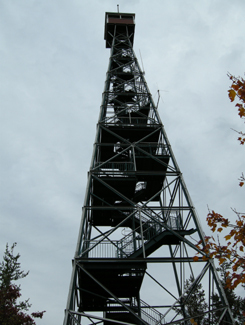 The area used to be littered with forest fire towers that were up to 1000 metres high – one of which has been maintained as an attraction that you can climb. My partner and I attempted a climb on a windy, wet day in October. We’re not embarassed to admit we didn’t make it all the way up. She was a bit iffy to begin with, but considering we were the only ones there, the cold, biting winds, some slippery stairs, and the requisite creaking of the structure with each gust, we abandoned our climb 3/4 of the way through. It didn’t help that it was cloudy and that the lookouts built around the tower gave us the nice views we wanted without needing to climb. (No shame in excuses for me!) I don’t think the tower is as tall as it seems, but considering it’s on the highest point in the area, it seemed very, very tall. The tower is one kilometre from Highway 11, east on O’Connor Drive up Caribou Mountain, but isn’t really visible from the highway, unless you’re looking for it. I enjoy hiking and Temagami has a lot of opportunities to get into the forest. The one problem is that many of the hiking trails are accessible only by boat. 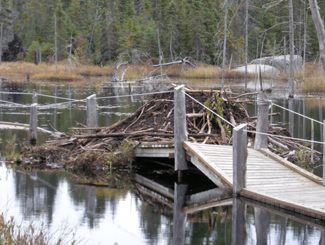 For example, there is a renowned stand of old growth pine on Bear Island, but that’s only accessible by an hour’s canoe, or by water taxi from the marina at the end of the Lake Temagami Access Road, 25 kilometres drive south and west of the town. Others are further in the bush, such as Lady Evelyn Smoothwater Provincial Park, which are accessible only if you’re willing to paddle and portage, or willing to pay for a float plane flight. Even the White Bear Trails that are right in town require a canoe trip (or a significant hike of three hours) to reach the best old growth forests. Anyway, I just want to say that hiking in Temagami isn’t as easy as driving up and looking for a trail sign. It’s not onerous, but it takes some planning – you have to do a bit of homework. This entry was posted in Temiskaming and tagged boating, forestry, hiking, outfitting, provincial parks by Highway11.ca Editor. Bookmark the permalink. Hi! Thank you…Love your blog!. My father taught public school in Temagami in the early forties. I believe he lodged at Frank Goddard’s hotel. We used to stay overnight at Amich Lodge when travelling from our home in Kapuskasing to our cottage in the south. We would stop at Frost’s Snack Bar ( “food is good ‘though place is small”) for breakfast and lunch as dad was very fond of Tom and Mary Frost. I stopped in Temagami this summer after an absence of over forty years. Couldn’t find the places I remember except for Busy Bee which had just closed. What gorgeous scenery here! This has to be one of the most beautiful “wilderness” spots in Ontario. I would think living in such isolation would be a challenge but many would probably think me wrong in this assumption. Anyway, God bless Temagami and all who live in or visit this special spot. I have been coming up to Temagami since the 70″s. We always camped at Finlayson Point Provincial Park. It’s such a beautiful lake, nice beaches for swimming, good campsites. We haven’t missed too many years. Now that we are in our 70′s we decided to try Temagami Shores Inn and resort. Get a little spoiled. We drove up once in the winter and stayed at Doug and Margs Northland Paradise. So beautiful in winter as well. Great ice fishing. My mom and dad and I used to go ‘up north’ for summer vacation nearly every summer when I was a kid. My dad passed 10 years ago, my mom a year ago, and my plan this summer is to try and retrace some of our steps from all those years ago (late 70′s mainly). My mom was from Kirkland Lake and that’s another big reason I’m taking my trip. Another is to see if I can find the exact same road side rest stop in Temagami that we stopped at once in 1972 where my sister carved her initials in a tree and another time in 1978 and my parents carved our family surname in a tree. It’s probably a longshot that the rest stop even still exists but you never know. It had a fast running stream, was very rocky and I was able to run along the rocks across the stream. I am pretty sure Highway 11 ran right alongside it too. We shall see! I am really looking forward to my trip sometime next month! I canoed Temagami in the 50′s … a wonderful place. You might want to correct your ’1000 metres towers’. That would make them twice as high as the CN Tower. I think you might have meant 100, but even that seems high. 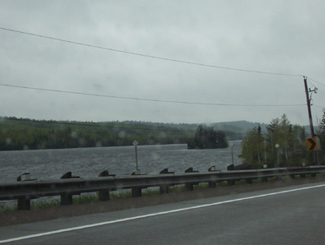 We used to make the drive north to New Liskerd a few times a year to visit my aunt as a kid and I always remember going past a town, which I believe to be Temagami where the lake was full of float planes. I’m now married to a man who is obsessed with planes and would love to take him there. Am I thinking of the right place? Are there still lots of float planes to be seen there? We drive up to Matachewan once a year and see many Float planes there. I watched an episode of “Mantracker” tonight and it was filmed in Temagami, Ontario. 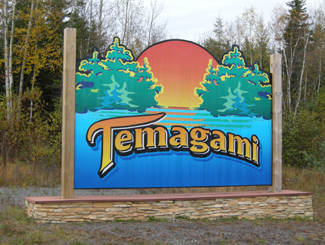 I have never heard of Temagami so I decided to look it up when I found this site. It looks absolutley beautiful!!! An riveting dcssuision is designer interpret. I believe that you should compose much on this theme, it mightiness not be a preconception subordinate but mostly people are not sufficiency to communicate on much topics. To the next. Cheers like your Ontario Hiking Guide | Grip Tight Hikers. I have been going to a a couple of cottages on Lake Temagami since the seventies when my uncles took myself and my cousins, now we are grown up and my cousins own the cottages, what a teasure to ne able to still go to this incredible place with our kids. Nothing beats a shore lunch of fresh caught fish! !The best is no cell,wi-fi,tv. Just good old fashion fun!! Thank you so much for making this web site! 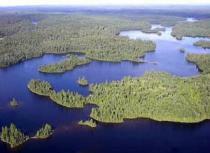 I have been going to Temagami since befor i was born! I love it up there. It is worth the drive, my frineds tell me that they wouldnt drive that far for a cottage trip. They dont know what there missing. Black bears wondering by the cottage, being able to catch fish and have the best dinner ever! Northern lights, seeing more stars than you could ever count! Showing my nieces the milky way by just looking up! A friend and I stopped by Temagami on a drive up north. All I can say is that the scenery is absolutely breathtaking. If you love the country, small towns and clean lakes, not to mention the abundance of trees, you’ll love the feeling of this place. Wish I could spend a lot more time there. Looks like God took out his paint brush and did an incredible job!! !